Come and join Tafrina DuBois on the 20th of April for a healing sound journey using planetary gongs and other sacred instruments. Spring is a time for awakening and this full moon gong bath will reinvigorate all the creative energy that may still be sleeping, as well as provide a safe space to relax and restore. Spaces are limited and priced at £15 – you will need to bring your own yoga/exercise mat. The body cools as it relaxes so a light blanket or layers are also recommended. 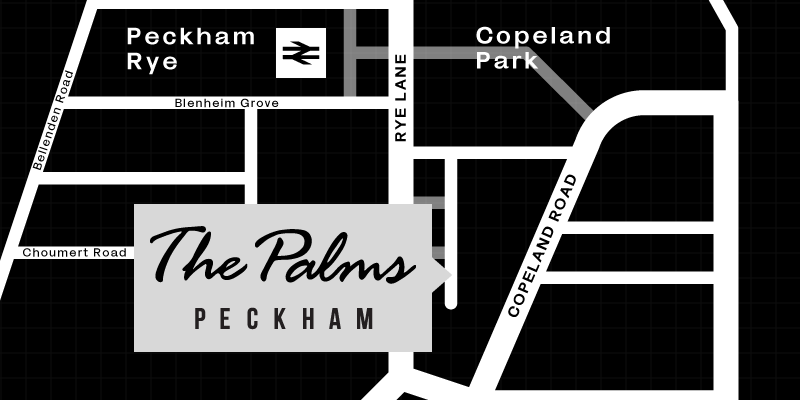 Bubbly and Art back at the Peckham Palms on the 27th of April and they have partnered up with the delicious Lime Hut so they can offer up a lovely brunch experience! 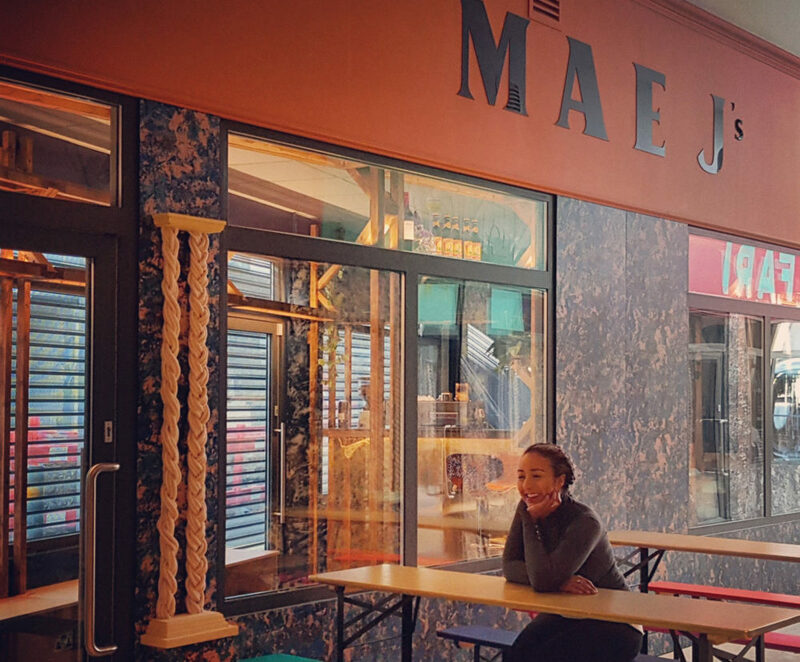 From 1pm – 2pm and 4pm onwards you have the opportunity to collect your yummy boom box (Main meal from the Caribbean kitchen takeover by Lime Hut) and a glass of bubbly from Mae J’s cafe. Join us for London’s first EVER afrobeats vs. soca twerk brunch with the amazing international twerk fitness instructor BAM BAM BOOGIE and award-winning Caribbean street food brand LIME HUT. Expect banging beats, serious booty shaking and the finest Caribbean brunch in London. We’re bringing a taste of sunshine alongside a feel-good carnival experience – wine n kotch! For the full menu and tickets, book here. Mae J’s is The Palms welcoming café and bar, named after Dr Mae Jemison, the first African American woman to travel in space. Available for private hire, please visit our site maejscafe.co.uk or email us at hello@maejscafe.co.uk.